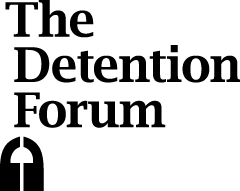 The UK should introduce a time limit of 28 days for immigration detention, as a first step towards a significant reduction in the use and scale of detention. Detention must always be the last resort and for the shortest time, in practice as well as in theory. The UK routinely detains people indefinitely. The latest immigration statistics show that on 31 December 2018 someone had been detained for 774 days, or over 2 years. This has huge political, financial and human costs. Britain has a long tradition of legal protection for civil liberties. This tradition is undermined each day that migrants are detained without a time limit. Many people experience long-term damage to their physical and mental health. Their families also experience the distress of separation. Detention without time limit damages the UK’s international reputation for defending human rights. The UK is unique in Europe in having no time limit and routinely detaining migrants for years. It has opted out of the EU Returns Directive, which sets a maximum time limit of 18 months. Alternatives to detention are cheaper, more effective and avoid the harm of detention. States that work with migrants in the community to resolve their cases have found that most comply with immigration requirements, for a fraction of the cost of detention.